Always take the blame—but be sure to hand out credit. Answer all your mail. Have a lot of ideas—but remember, not all of them will be great ones. President Richard Joel introduces Stephen Trachtenberg to his “Leadership in the Nonprofit World” class. 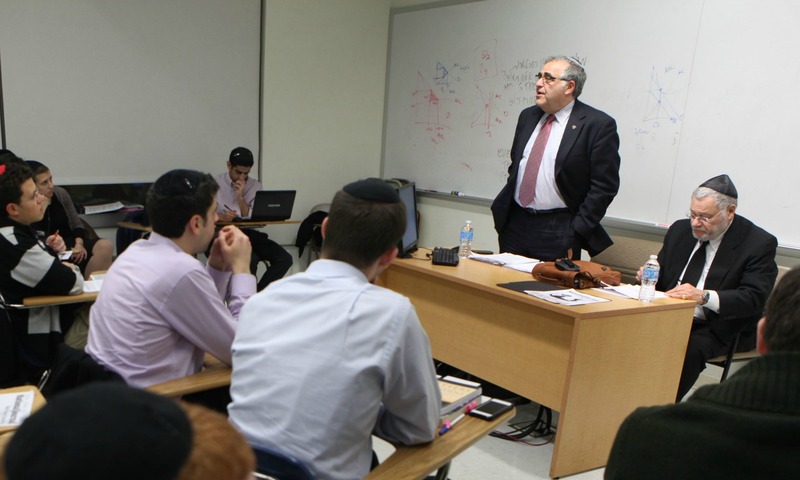 These were just a few helpful pointers guest speaker Stephen Trachtenberg, former president of George Washington University, offered Yeshiva University students during class on a chilly Wednesday night in December. Trachtenberg noted he usually gives that advice to newly-appointed university presidents—not undergraduate students, per se. However, in the Sy Syms School of Business course designed to place students squarely in the shoes of nonprofit greats, his remarks provided insight into a question the group had been considering for almost a semester: What does it mean to be a leader in the nonprofit world? Taught by YU President Richard M. Joel, “Leadership in the Nonprofit World” delves into that question from a series of angles, exploring issues of management, team building and vision. It includes everything from overarching themes, like how to navigate conflicting values, to the daily nitty-gritty, like building professional or board relationships. Trachtenberg, former president of George Washington University, was one of several nonprofit leaders to speak to the class. 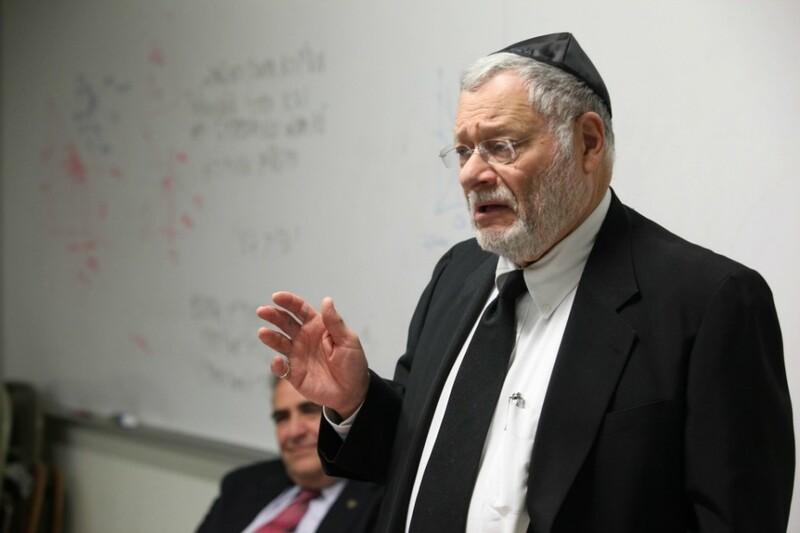 To that end, case study and text-based discussions are often augmented with scenarios drawn from Joel’s real-life experience as former president and international director of Hillel, the Foundation for Jewish Campus Life, and his time at YU’s helm. Guest speakers like Trachtenberg; Dr. Henry Kressel, chairman of YU’s Board of Trustees; Rabbi Menachem Genack, CEO of the Orthodox Union Kosher Division and a rosh yeshiva at YU-affiliated Rabbi Isaac Elchanan Theological Seminary; and Dr. Phillip Ozuah, executive vice president and chief operating officer of Montefiore Hospital, bring their own unique perspectives to the conversation, providing students with a multidimensional view of leadership in a range of industries.